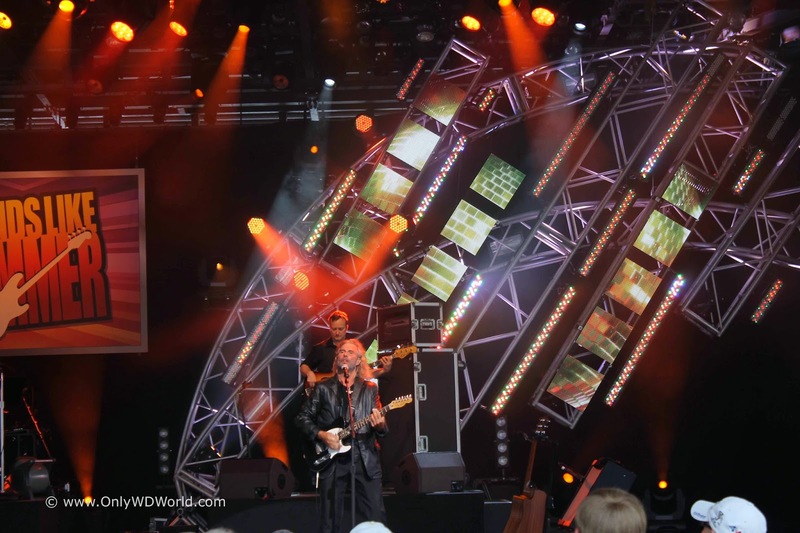 Epcot is the place to be this summer if you enjoy watching and listening to live bands perform. 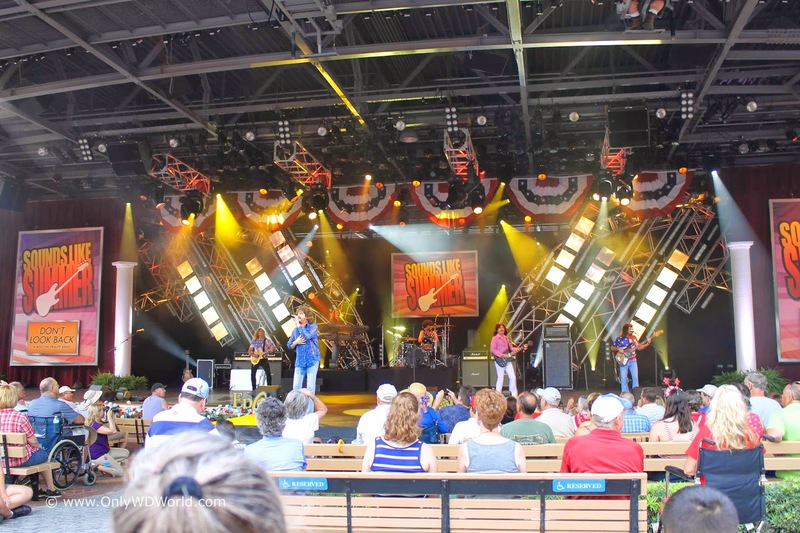 In addition to great house bands that perform along the World Showcase, Epcot guests can enjoy free concerts during the Sounds Like Summer Concert series at the America Gardens Theatre. 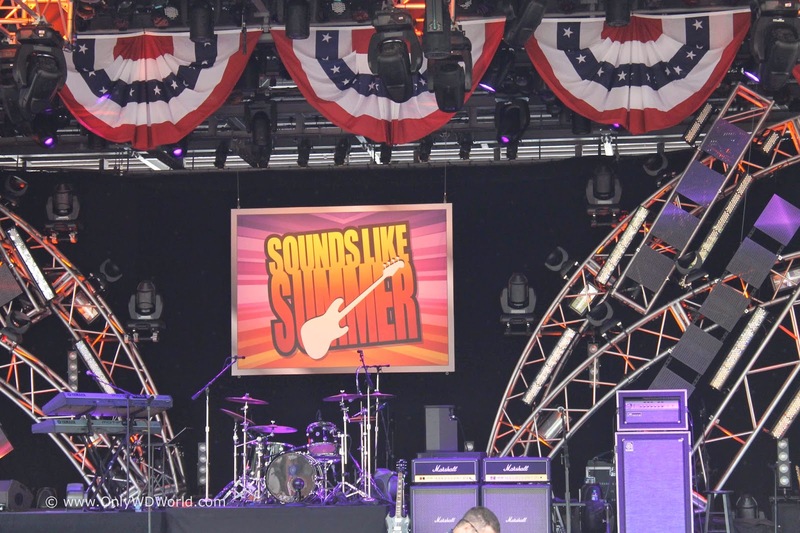 Sounds Like Summer Rocks Epcot! Disney World Guests may have many different images come to mind when they think of Epcot. One thought that should quickly come to mind is great live music performances. 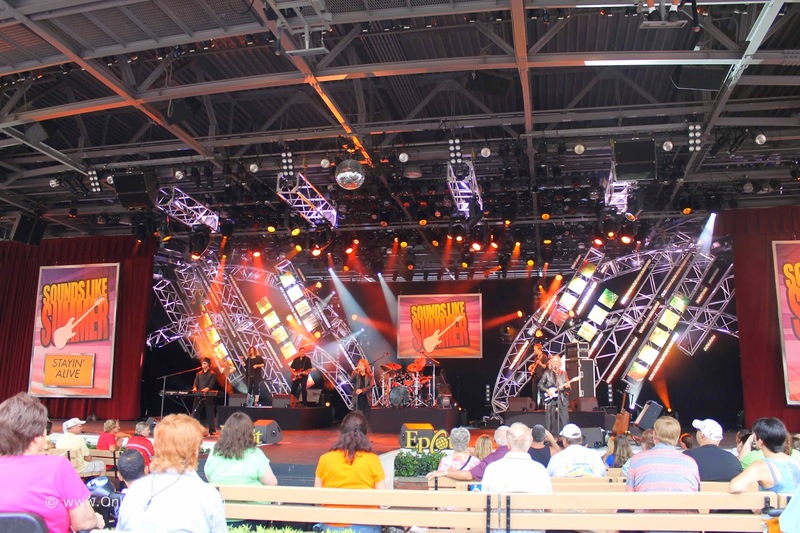 In addition to the great year-round musical performances that occur throughout the World Showcase, Epcot also plays host to a number of concerts that are free to all guests during different parts of the year. 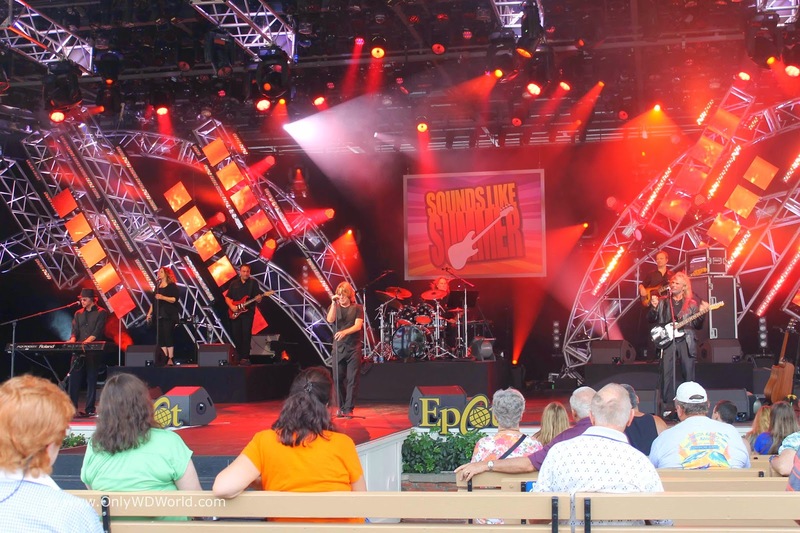 Summer time at Epcot means the awesome Sounds Like Summer Concert Series. Sounds Like Summer means cover bands, but these aren't your average ordinary cover bands. 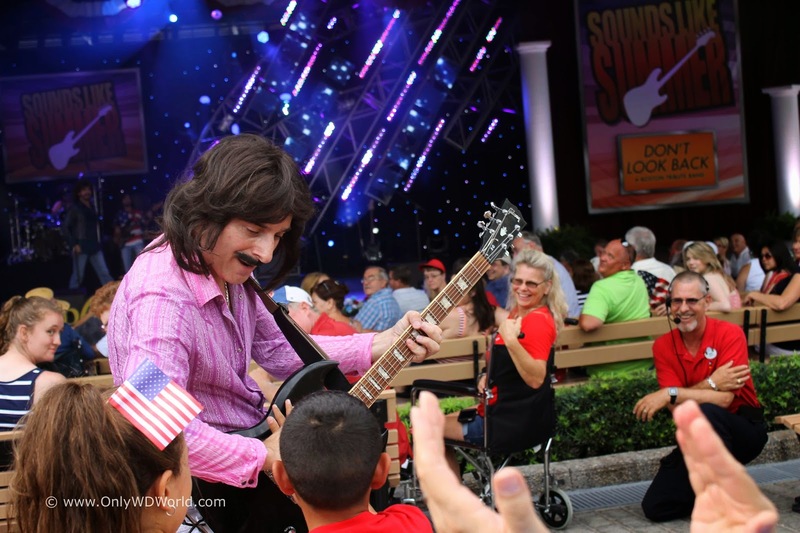 Disney World brings in the best of the best to perform as part of their Sounds Like Summer Concert Series. Having had the opportunity to personally see the majority of the scheduled bands perform, I know firsthand that these bands are worthy of your attention. They not only sound great they provide an entertaining performance that pays proper tribute to the bands they emulate. 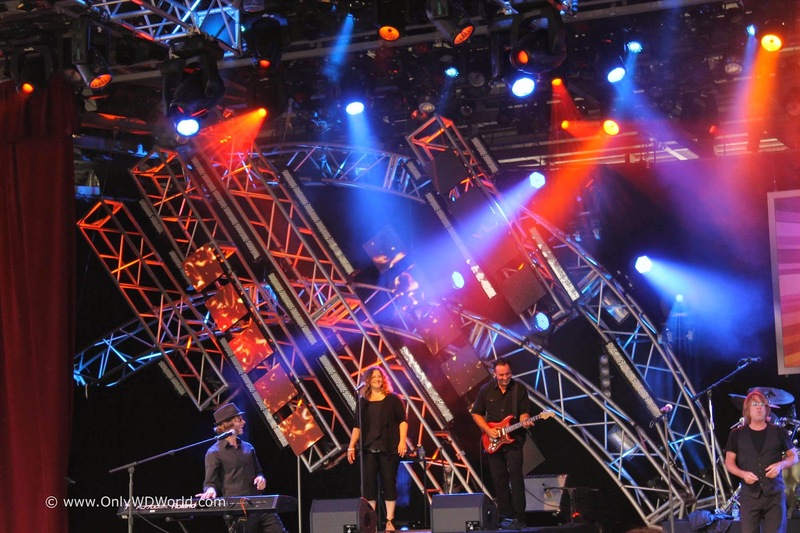 Whether you are an Eagles fan and catch the captivating Hotel California or perhaps a Bon Jovi fan that sees Slippery When Wet you will not be disappointed. 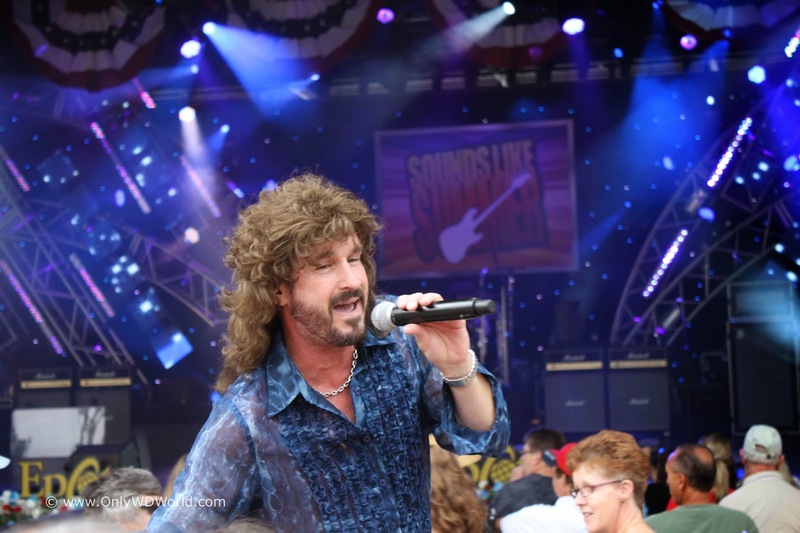 During 2014 Only WDWorld was able to catch two different Sounds Like Summer bands this season, one that we had loved before, Stayin' Alive - A Tribute to the Bee Gees, and one we saw for the first time, Don't Look Back, a Boston tribute band. We were not disappointed! 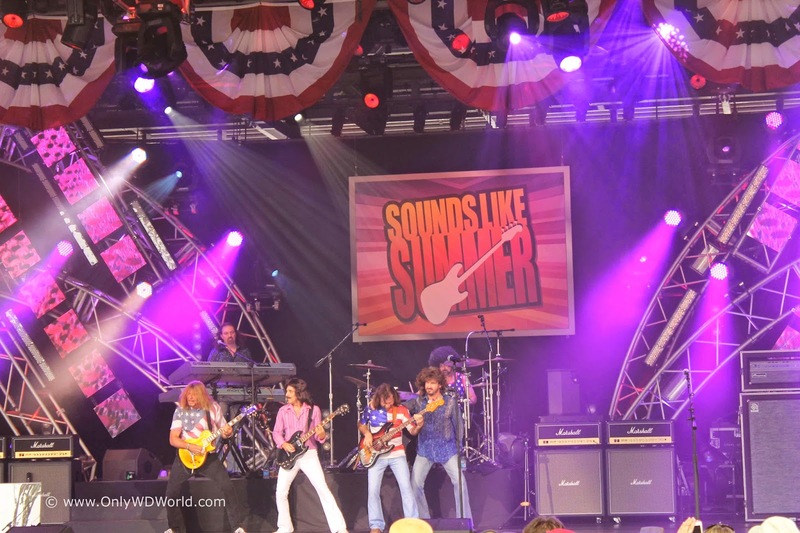 Sounds Like Summer brings the best cover bands around to Epcot to perform and Don't Look Back did not disappoint. They sounded amazing and put on a great stage show to entertain the crowd. Spot on vocals combined with impressed guitar playing made this performance one that you definitely wanted to return to one of their later sets to catch more. The way the Sounds Like Summer works is that there are 3 different 25-30 minute sets performed each night. Often there are completely different crowds for each set, with a few holdovers that catch all of the sets. There is nothing more fun than watching the band move into the crowd to continue to perform. The guys from Don't Look Back really know how to put on a show. Not only did they sound great, but the show was thoroughly entertaining. They certainly paid proper tribute to the guitar heavy, synthesizer sound of Boston! If you were alive during the disco era, then you were familiar with the Bee Gees! Sayin' Alive not only looks remarkably like the legendary band from Australia, but they sounded like them as well. 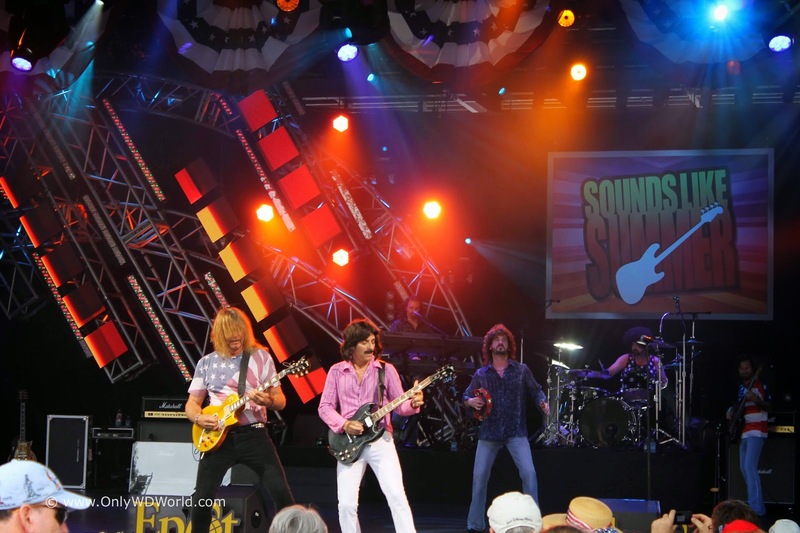 The Sounds Like Summer concerts transport fans to another time to put them in touch with music they may not have heard recently from favorite bands from their past. Stayin' Alive certainly does their job of reviving the feeling and sound of the Barry, Robin, and Maurice Gibb of the Bee Gees! 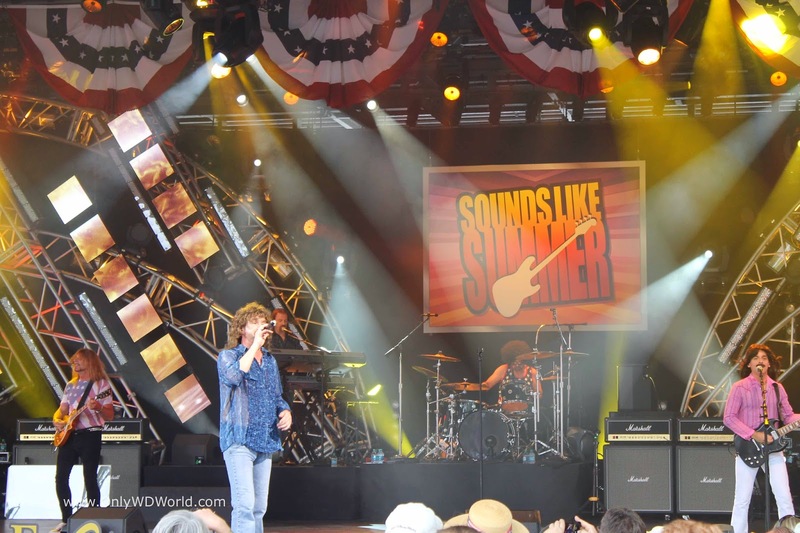 Sounds Like Summer Is Epcot Must Do! 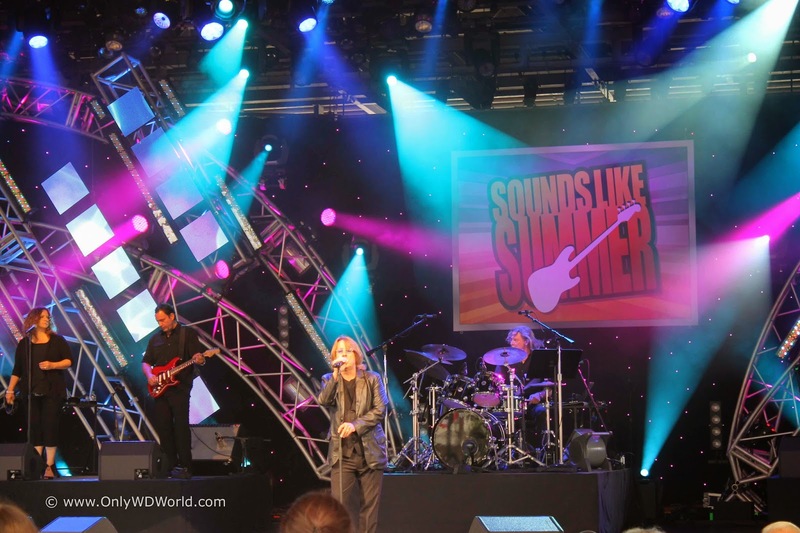 The Sounds Like Summer concert series is something that any Disney World guest and music fan should try to attend during their Summer Vacation to Epcot. The music and the performances are great and best of all they are included FREE for all Epcot Guests. 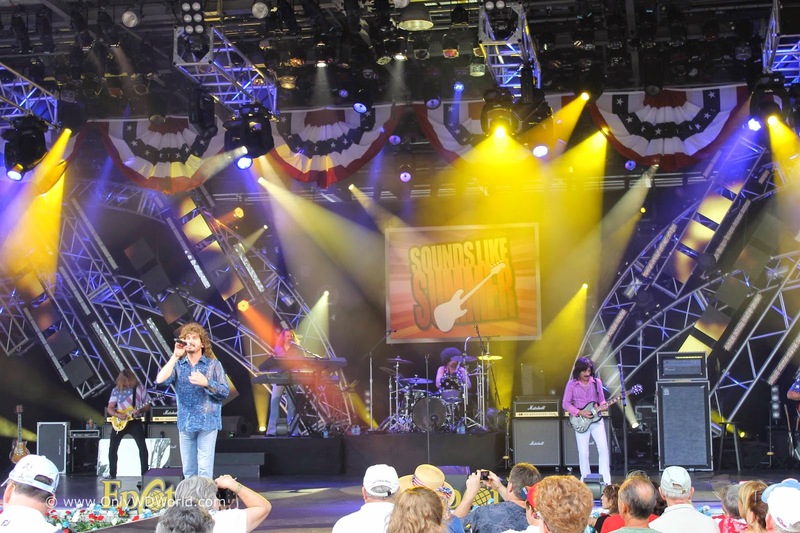 Tell us about your favorite Sounds Like Summer Concert! 0 comments to "Epcot Means Great Music With Sounds Like Summer 2014"